SI COMUNICA CHE IL TRIBUNALE DI TEMPIO - SITO NEL PLESSO DI VIA LIMBARA - RESTERA' CHIUSO FINO A LUNEDI' 16 SETTEMBRE 2013, PER ULTIMARE LE OPERAZIONI DI PULIZIA DEI LOCALI E RIPRISTINARE LE ATTIVITA' DEGLI UFFICI. LE CANCELLERIE RIAPRIRANNO REGOLARMENTE AL PUBBLICO MARTEDI' 17 SETTEMBRE 2013. 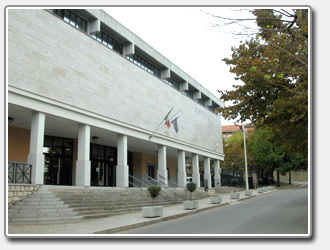 LE UDIENZE FISSATE FINO AL 16 SETTEMBRE 2013 SARANNO RINVIATE D'UFFICIO E RIFISSATE AD ALTRA DATA, DELLA QUALE SARA' DATA COMUNICAZIONE ALLE PARTI E PUBBLICATA SUL SITO WEB DEL TRIBUNALE. I TERMINI DEGLI ATTI IN SCADENZA NELLE GIORNATE DA LUNEDI' 9 SETTEMBRE A LUNEDI' 16 SETTEMBRE SARANNO PROROGATI AUTOMATICAMENTE E RIPRENDERANNO A DECORRERE DA MARTEDI' 17 SETTEMBRE 2013.